Rod dimension: 1" x 1/2"
Rod dimension: 3⁄4" x 3⁄8"
Rod dimension: 9⁄16" by 1 1⁄32"
Oval Rodding is ideal for window and door treatments. Can be used for shirred curtains, cafe curtains, and valances. Support requirements are determined by weight and width of fabrics used. Used for hanging cafe curtains and draperies in a variety of styles on different types of windows. 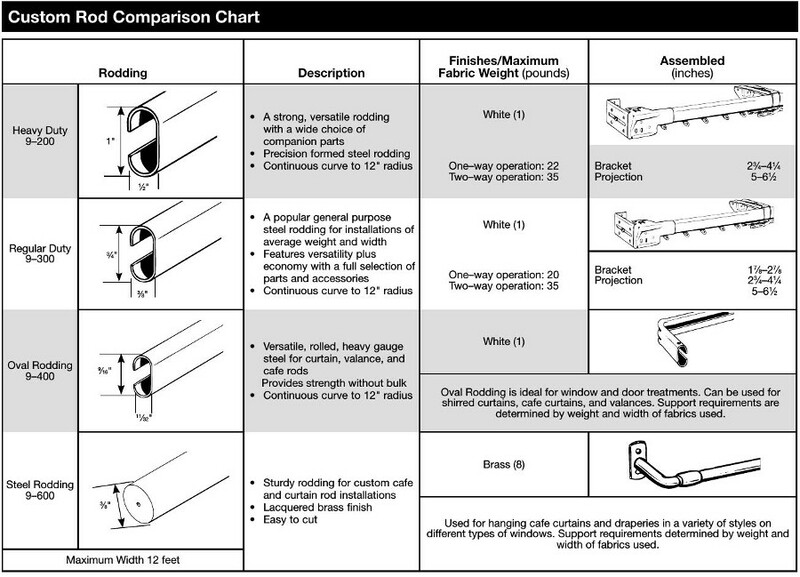 Support requirements determined by weight and width of fabrics used.